Web 2.0 technologies are technologies on the Internet such as blogs, wikis, and online forums that allow people to create, share, collaborate, and communicate their ideas. Blogs are known to enhance team cooperation and foster a learning community within the class. Wikis have been used to promote group work. Online discussion forums assist with problem-based learning. Facebook/Twitter have the potential to support social learning through community networking services such as wall pasting, chatting, content-sharing, and tagging. 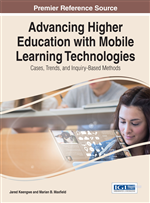 Despite the enormous potential and apparent cost effectiveness of new learning media for facilitating social-networked learning, problem-based learning, and promoting group work, its application by institutions of higher learning in developing African countries is low. The purpose of the study was to investigate the use of Web 2.0 technologies in teaching and learning in Kenyan universities. The researchers used surveys to collect data for this study. The findings reveal that the use of Web 2.0 technologies by students in Kenyan universities was quite low. Finally, other implications need to be explored in the context of the study, including the learners and the Web 2.0 technology resources available. The need for effective functioning in the knowledge society and coping with continuous change has led to the demand for higher levels of competencies (Kozma, 2005). There are new learning approaches such as resource-based, problem-based, project-based and competency-based learning that demand a high degree of information literacy. These new learning approaches demand a paradigm shift from dominant teaching methods involving pre-packaging information for the students, to facilitating learning in authentic and information rich contexts. There are different ways in which teaching and learning can be made more efficient especially in program delivery through the use of ICT. Some of these ways include the use of Web 2.0 technologies such as blogs, wikis, video podcasts, social networks, and newsgroups, audio programs, video compact discs, use of electronic journals as well as use of online courses. Web 2.0 technologies are technologies that make easy knowledge sharing, interaction, collaboration and communication. These technologies enable students collaborate and engage other students and lecturers in a common space where they have shared interests (Mazman & Usluel, 2009). Web 2.0 technology tools enable students to make links between internal thinking and external social interaction through the keyboard to improve the social and intellectual developments (Vygotsky, 1962). For example, wikis can enable group members edit each other’s contributions. They provide an opportunity to work with other people and share knowledge. Web 2.0 technology tools offer rich learning support in line with social constructivism theories of learning (Vygotsky, 1978) which emphasize experiential learning, personalization, collaboration, information sharing, common interests, active participation, cooperative learning and group work support. (Newby, Lehman, Rushell & Stepich, 2010). Web 2.0 technologies therefore supports social networked learning and knowledge constructivism in which students use these tools to learn at their own pace as well as collaborate in problem-based learning. Web 2.0 technologies have been used in students learning in various fields. Makoul etal., (2010) engaged in a project where medical students were using online forums to give them an opportunity to reflect, brief and respond to others about their experiences. He concluded that the online forums assisted with problem based learning. This was by providing a template that encouraged students to reflect and dialogue about challenging communication situations. Ramanau and Geng, (2009) on the other hand researched on the use of wikis to facilitate group work. Their work reflected on the experience of introducing Wiki technology into a “Japanese for Beginners” module at one of the universities in the UK and the evaluation of learner experiences that came thereafter. Although most students were not sure how group work on the wiki fitted into their studies, they agreed that resources created by their peers in the wiki spaces were easier to understand than textbooks. McDermott, Eccleston and Brindley, (2010) discussed a project where students were encouraged to engage in using blogs to document their learning experiences. They found out that the experience of the students on reading and commenting on the blog was worthwhile due to the quality of information brought together on the student learning experience. From this experience, blogs were found to be useful in promoting reflective learning among students. Despite the enormous potential and cost effectiveness of Web 2.0 technologies to support social networked learning and knowledge constructivism, it’s application in institutions of higher learning in developing African countries is low (Ndume et al., 2008). Because of the functionalities provided by the social networking tools, higher education institutions need to ensure that effective usage of these tools is made by both students and lecturers (Kroop et al., 2010).